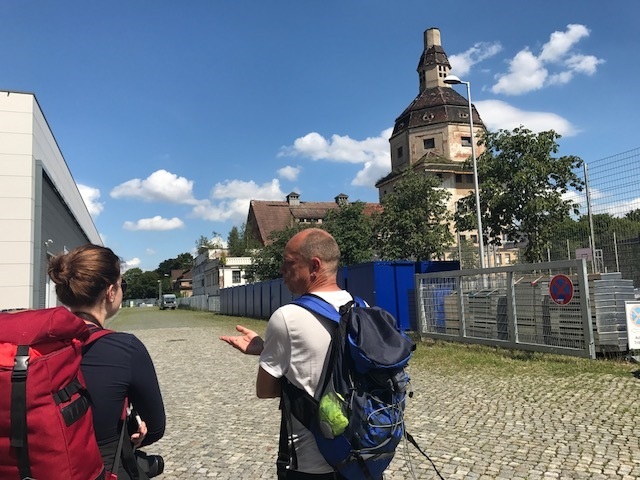 In Sunday’s column, I wrap up my series about my trip to Germany by writing about Kurt Vonnegut’s “Slaughterhouse-Five” and my visit to the Dresden slaughterhouse where he was held as a POW. 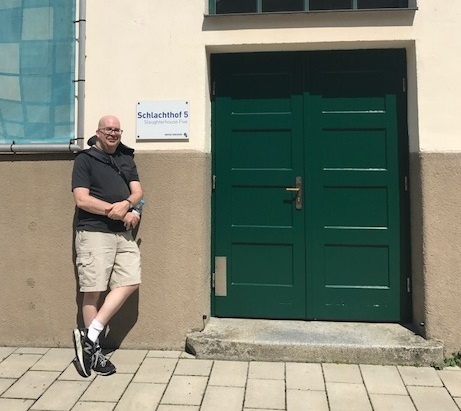 Above, Donilo Hommel, center, shows us the renovated slaughterhouse at left where Vonnegut appears to have been held, across from the power building at right; below, I stand outside the entrance to Schlachthof 5/Slaughterhouse Five, marked by a sign put up by fans. This entry was posted in My So-Called Life by David Allen. Bookmark the permalink.